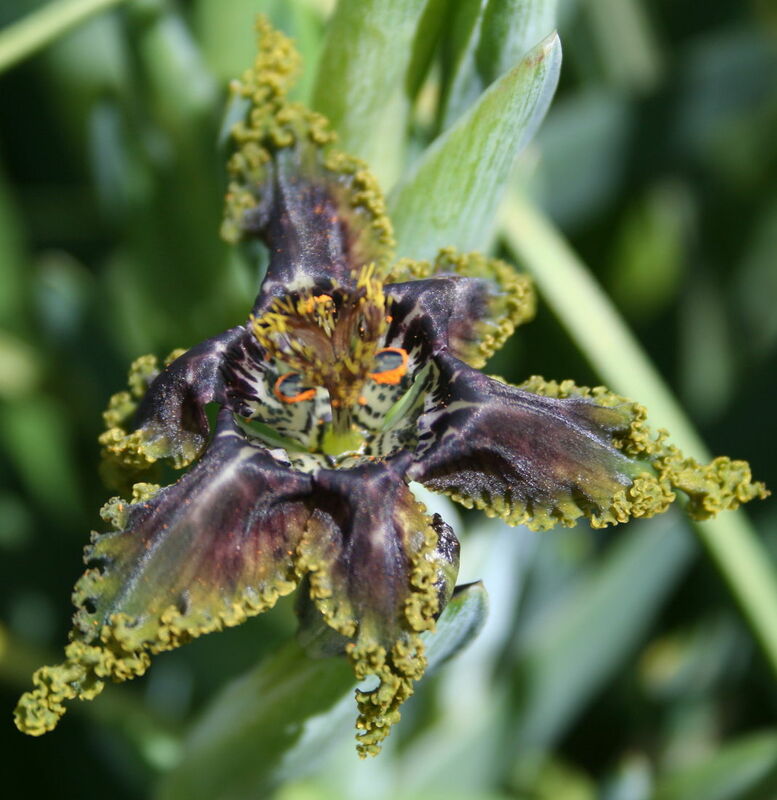 This member of the iris family consists of about 10 species from Africa with only few being offered to gardeners. Their curious flowers are short lived, however are replaced with new flowers every few days. Flowers are generally shades of brown but do range to blue. Centres are often speckled in contrasting colours and the edges of the petals are delightfully crinkled. An added bonus of a spicy vanilla scent often accompanies many species. Plant in a well drained sunny position enriched with complete fertiliser and lime. They require plenty of water from when growth begins and then can be kept dry at the end of their growing season. Protect from frost during the Winter months. A fascinating addition to any South African collection.